Sometimes simple is best. 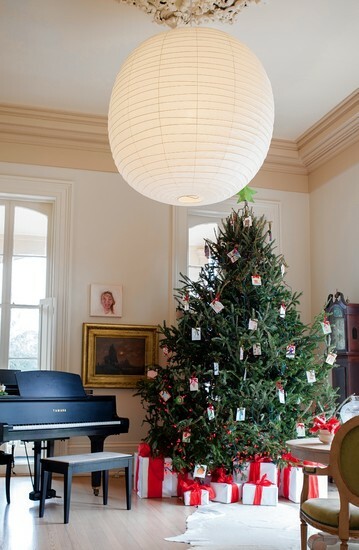 Like the holiday decor of Sara Ruffin Costello in her New Orleans home featured in the Wall Street Journal. 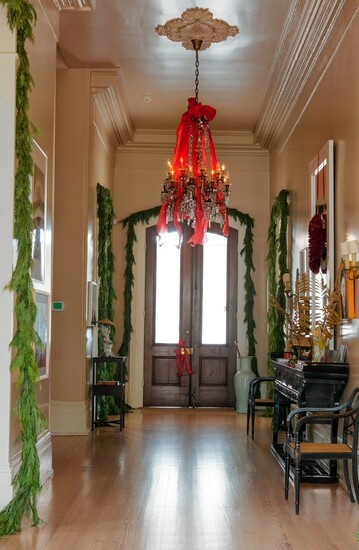 For a holiday home tour, she hung cedar swags over every doorway and lined the mantel with poinsettias in simple white pots. The tree ornaments? Squares of heavy art paper with mini watercolor paintings done by family and friends. And, geez. Check out that mirror. 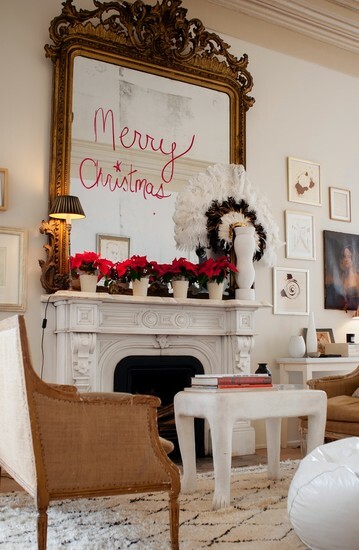 Love the holiday greeting written in red lipstick! Love it all! Happy Holidays Donna to you and your family! So pretty! Have a wonderful Christmas! I truly adore your blog and I am always so delighted when you stop by mine and say hello . So, thank you. Merry Christmas, Donna! I wish I had double doors! Some day! I love this, Donna! Beautiful. I hope that you have a Merry Christmas! So pretty... I adore the cedar swags everywhere!! I hope you and your family have a wonderful Christmas!! So fab to finally see her new house! Very nice!!! Love the simplicity of the decor. No fuss at all! Absolutely beautiful - have a wonderful Christmas! wow, so beautiful donna. merry christmas to you and your family! How can such gorgeous spaces feel so effortless? I've seen some of these images on Pinterest but now I've got to see the entire spread! What a sweet pad....me likey!